Fun fact: this Valentine’s Day is me and Dallas’ 3 years! It honestly doesn’t feel like it’s been that long but it also marks two years since he’s moved to Charleston to be with me and what an adventure it has been! We don’t really do anything big on Valentine’s because we usually go big (or go home amiright??) for Christmas each year and we are still hurting from that…for some reason, it’s like we make Christmas a competition! Anyways! This is what I’m asking for this year so boys take notes for your ladies! 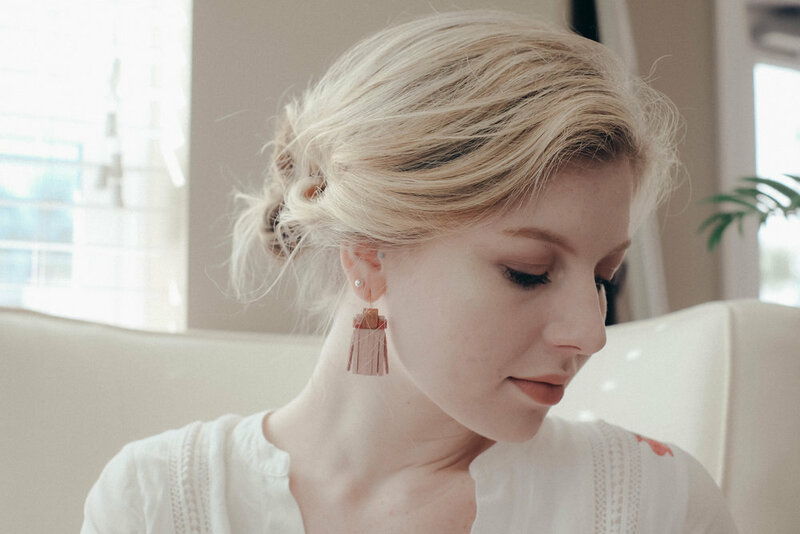 Check out these GORGEOUS tassel earrings from Penelope Design Studio! 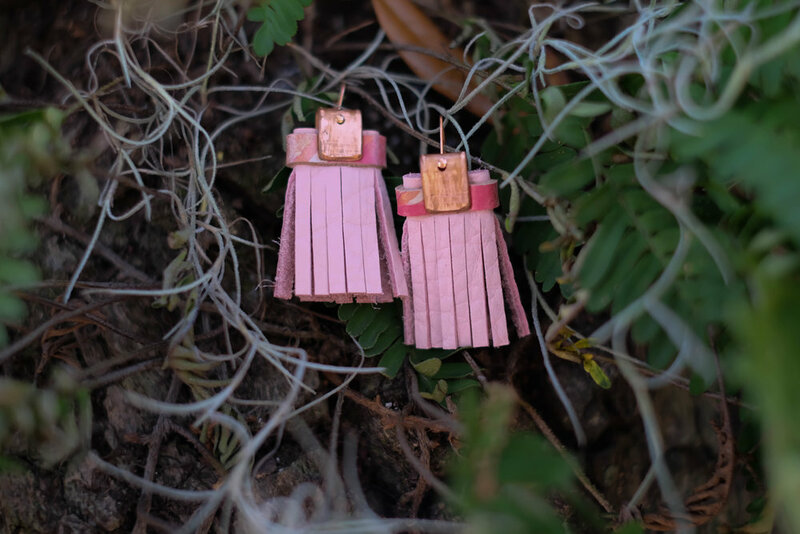 Sarah handmakes all of her jewelry using real leather and copper here in Charleston! I love supporting local businesses! Sarah and I actually met when I worked at Anthropologie and immediately became good friends discussing all things about our dogs! She named her business after one of her dogs that passed away (Penelope) and I instantly fell in love with her work. She makes necklaces, earrings, and bracelets and can even custom make you anything with the colors you want! From short tassels to long tassels, they are all my favorite. Check out her page to support a small local business here in Charleston! It would be a perfect gift for Valentine’s Day, Mother’s Day, or a birthday (or if you ladies just want to treat yourself to some fantastic jewelry)! Here I am wearing the pink short tassels (perfect for Valentine’s day and they match the pink on my blog perfectly: it was meant to be!) I have paired them with a dress that is perfect for transitioning into Spring and wedges because it’s already 75 degrees here in Charleston! You can shop all of my looks at the bottom of the post! Here I am wearing the short tassels with a more casual look. Who doesn’t love jeans and a top that has huge sleeves? Add some tassel earrings and some loafers and you are good to go! Happy Valentine’s Day! What do you have planned? We might enjoy a night in and some pizza but who knows!